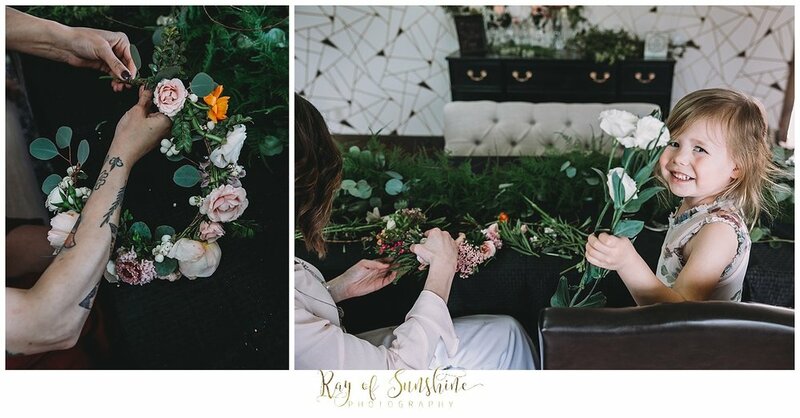 We are so excited to have partnered with Floral Designs by Jessi to provide a DIY Floral Crown Event for Mother's Day. 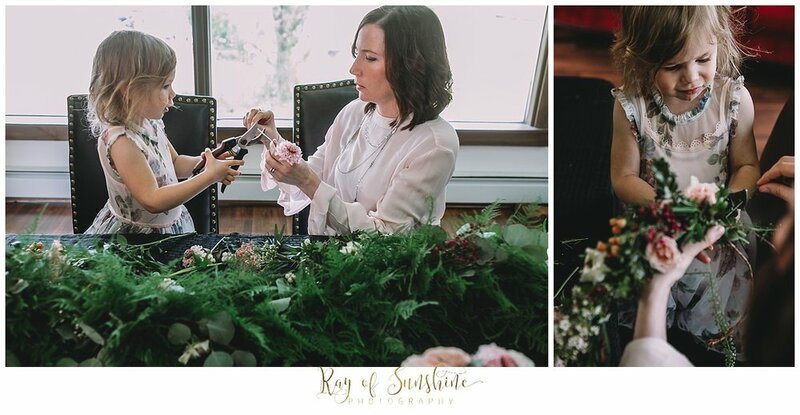 I think it's safe to say that every mom wants to spend time with their children on this celebratory day, so why not come make some flower crowns and get some portraits taken! 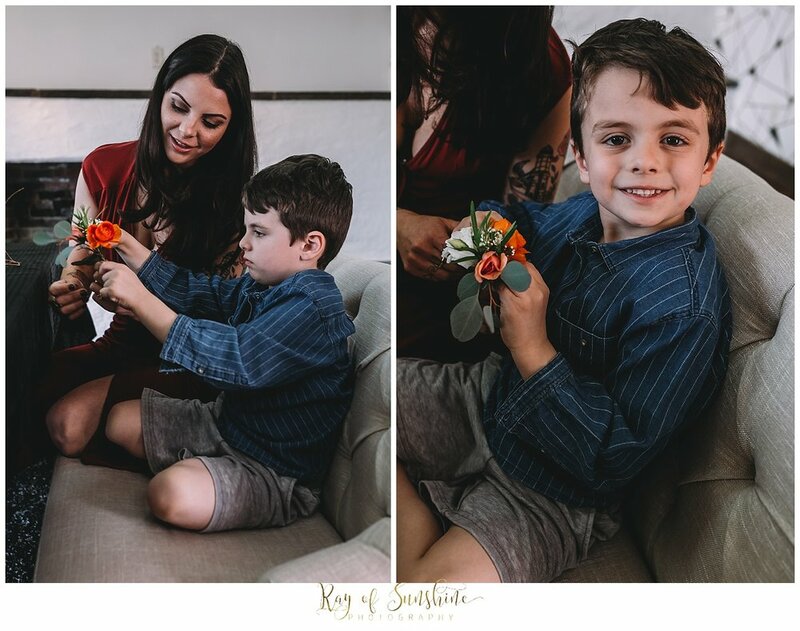 All ages are welcome and boys are able to make cute boutonnieres. On Sunday May 20th at Ray of Sunshine Photography's studio located at the picturesque Center Point Pond come out to our event from 1-3. Each ticket includes admission for mom and one child, flower crown for mom, and a portrait session with 3 digital images. You can add on the cost of any additional flower crown and boutonnieres for the kids. Jessi will help guide you on creating unique and beautiful flower crowns. Choose exactly what you want your crown to look like by picking your own flowers from the flower bar! After creating your masterpieces you will get some pictures taken! 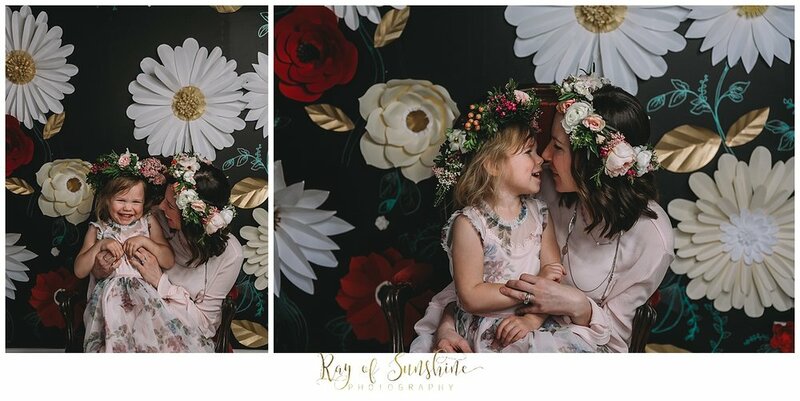 Portraits can take place with our pretty flower wall in the studio or outside by the pond. You will get an online gallery to choose the images you'd like.